Partial and full dentures are custom-made replacements for missing teeth, and they are a lot more common than you’d probably guess! According to the U.S Census and Simmons National Consumer Survey (NHCS), just shy of one million Americans used dentures in 2017. Did you know that many famous people have used dentures? Here are five famous people who needed to use dentures at one point. 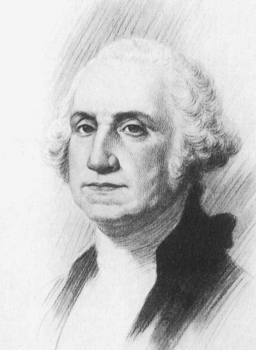 George Washington, a devoted family-man, farmer, and military commander, and the revered first president of the United States of America, had a lifetime of teeth troubles. Because of this, he wore a full set of dentures by the age of 57. Many people speculate he had false teeth made of wood. In fact, he had multiple sets of dentures made of a combination of human teeth, ivory, various metal alloys (such as lead-tin, copper, and silver), and possibly even cow and horse teeth! 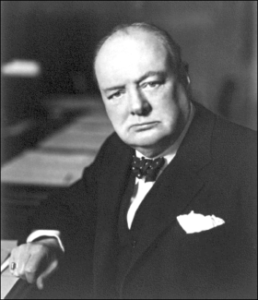 Winston Churchill, a powerful orator and the British Prime Minister from 1940 to 1945 during World War II, and again from 1951 to 1955, also wore dentures. He even had his dentist modify his dentures to preserve his signature lisp so that his voice would remain instantly recognizable over the wartime radio broadcasts. Moreover, when his dentist was drafted to join the Army, Churchill ripped up the orders because he felt that his dentist could better serve the Allies by staying to maintain his dentures. Churchill’s dentures are affectionately known to have “helped win World War II” and sold for nearly $24,000 in 2010. 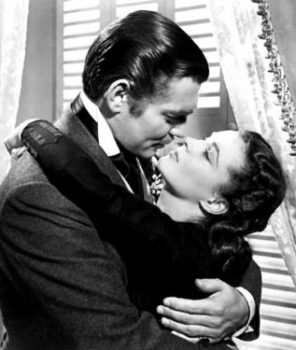 Gone with the Wind actor William Clark Gable was dubbed “The King of Hollywood” during the era of classic Hollywood cinema. But even “The King” needed dentures… and suffered from chronic bad breath! Gable had to have all of his teeth removed in his early 30s because of severe periodontitis. Emma Watson played Hermione Granger in the magical Harry Potter series. She lost some pretty noticeable baby teeth (also known as milk, temporary, primary, and deciduous teeth) during filming so she wore partial dentures to cover the gaps until her adult teeth (also called permanent teeth) filled in! We Can Restore Your Smile to Full Function! Missing teeth affects not only your appearance, but also your oral health. By replacing missing teeth, chewing is made easier and other teeth won’t move into the spaces left by missing teeth. If you are missing a tooth or two, or even all your teeth, we offer several tooth-replacement services at Arlington Dental Center that will help you eat, speak, and smile with confidence once again. Ask our team about our partial and full dentures, dental bridges, and start-to-finish dental implants. Contact us today to schedule your restorative dentistry consultation.